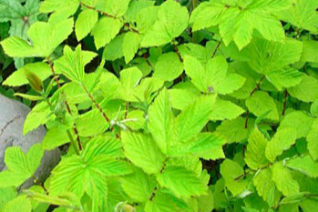 Obscure large herbaceous perennial that finds a happy home in the rich soil and regular moisture of woodlands and margins. 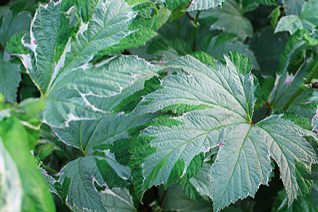 To 5′ tall the handsome palmate leaves are edged in white with occasional splashes in the interior. In mid summer plumes of foamy white flowers tower over the plant. Very pretty. Completely deciduous in winter. In time it forms large patches. Woodlands, the back of the border, perpetually wet areas.